1 What Is Expeller-Pressed Canola Oil? 2 What Is the Difference Betweeen Cooking With Vegetable Oil & Olive Oil? 4 Does Canola Oil Taste the Same as Vegetable Oil When Baking? Popular for its high smoke point and health benefits, expeller pressed canola oil is widely used in professional and domestic kitchens. 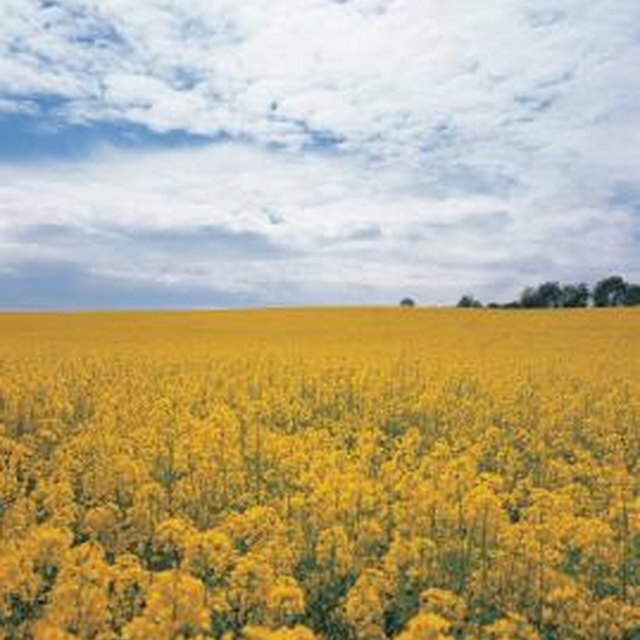 The oil comes from the canola plant, a genetic modification of the rapeseed plant. Canola oil has many different properties and uses. 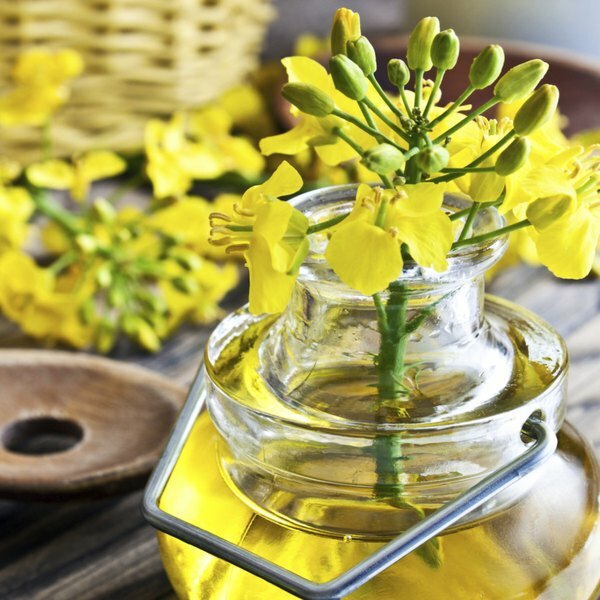 Canola oil is made from pressed canola seed, which is rapeseed that has had undesirable qualities such as erucic acid and glucosinolates removed. Canola oil originated in Canada. According to the Canola Council of Canada, canola oil is "lowest in saturated fat, high in cholesterol-lowering mono-unsaturated fat and the best source of omega-3 fats of all popular oils." Expeller pressed canola oil is oil that has been pressed mechanically. According to amazingfoodcompany.com, expeller pressed oil is pressed from the seed using a combination of heat and friction. This is an ideal alternative to using chemical solvents to extract oil. It allows for a healthier result with no solvent remaining in the finished product. Some oils, when heated too high, convert to unhealthy trans fats and end up being health risks. According to the Canola Council of Canada, expeller pressed canola oil can be baked, cooked, and fried with negligible rise in trans fats. This makes expeller pressed canola oil a heart-healthy option to many other oils. What Can I Use Instead of Eggs to Brush the Dough Before Baking? How Do I Cold-Smoke Fish?